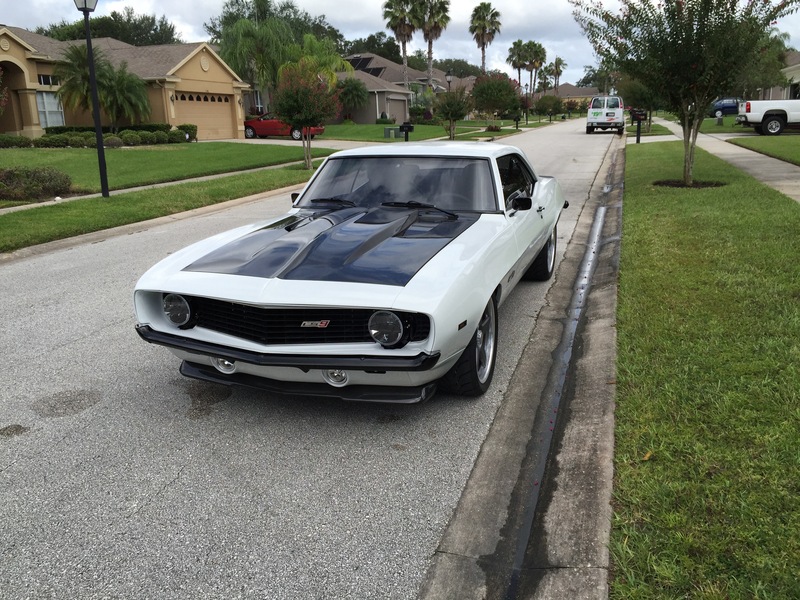 I’ve just finished my latest project, an LS9-powered 69 Camaro. It’s my most ambitious project to date, though the original II Much (my 67 Nova) might disagree. The car has all the very best stuff from Detroit Speed: mini-tubs, Quadralink, subframe, subframe connectors, etc. 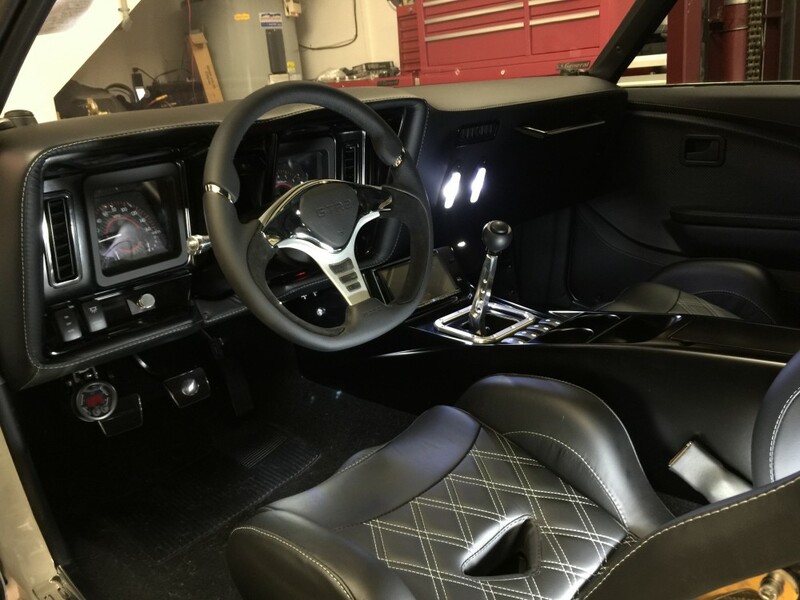 Forgeline center lock wheels, Wilwood 14.25″ brakes, InfinityBox wiring and harness, VaporWorx fuel system, C&R Racing radiator and intercooler, and Vintage Air heating and air conditioning. Some of the unique features of the car include a custom exhaust (2″ primaries, 4″ collector, oval tubes, x-pipe, and 3″ tail pipes), a complete custom dash and matching interior, Cobra Misano carbon fiber seats, 9 speaker stereo/navigation system, constant velocity driveshaft, automatic headlights, LED interior lighting, self-draining catch cans, and more. Over the past couple of years, I’ve been on a slightly different direction here at II Much Fabrication. The most noticeable thing you might notice is that there’s relatively little mention of Fuel Vents, and that’s because I’ve sold that enterprise to my old business partner. I had grown weary of the time required, most especially time during business hours as I still have a day job and a manager that wasn’t too keen on not having my full attention during the day. In the end, we parted company, and I’ve gotten back to building cars. If you’ve come here looking for fuel vents, a Google search will quickly get to where you want to be, or you can try this: Fuel Vent webstore. 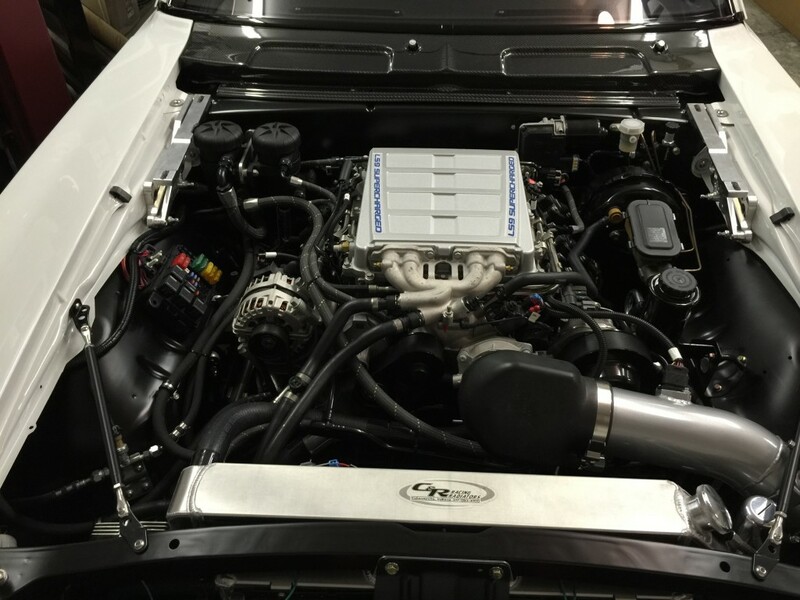 Most recently, I’ve built an LS9-powered 69 Camaro for a local customer. I’ll post more about it over the next few days. 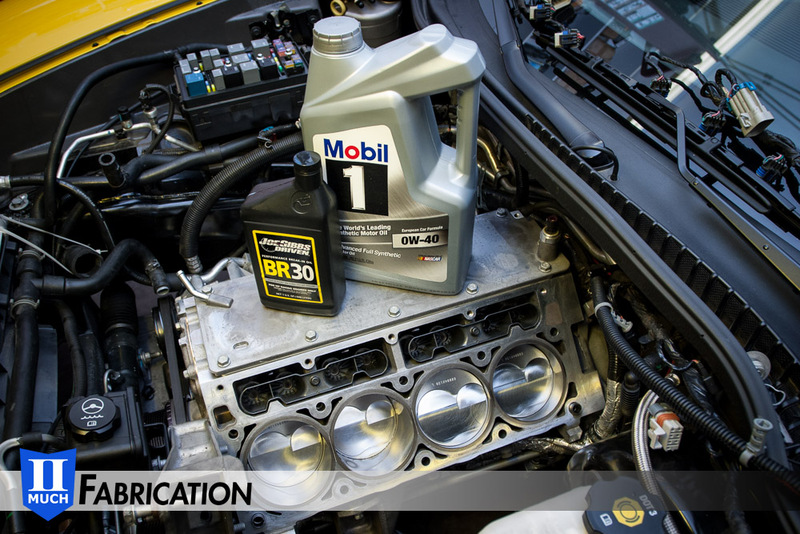 Joe Gibbs Break-In Oil and Mobil1 0W-40 European Formula are ready for the job of keep my forged LS7 happy at 7 grand. The shop Z06 is on the mend from recent piston surgery, and I bought some Mobil1 0W-40 motor oil to fill up the dry sump tank for its initial fire. GM recommends 5W-30 Mobil1 and every LS7 leaves the factory filled with it, and I like the 0W-40 only because it has more zinc, and it is preferred oil in my crowd at the local tracks. I mentioned all that to Dave Crume (of Crume Racing Engines), who built the short-block, and he cringed. He told me to use Joe Gibbs break-in oil for a couple of hours, then switch to a quality non-synthetic oil, and then to a synthetic oil at 500-1000 miles. He said the engine wouldn’t break in properly unless I did that. 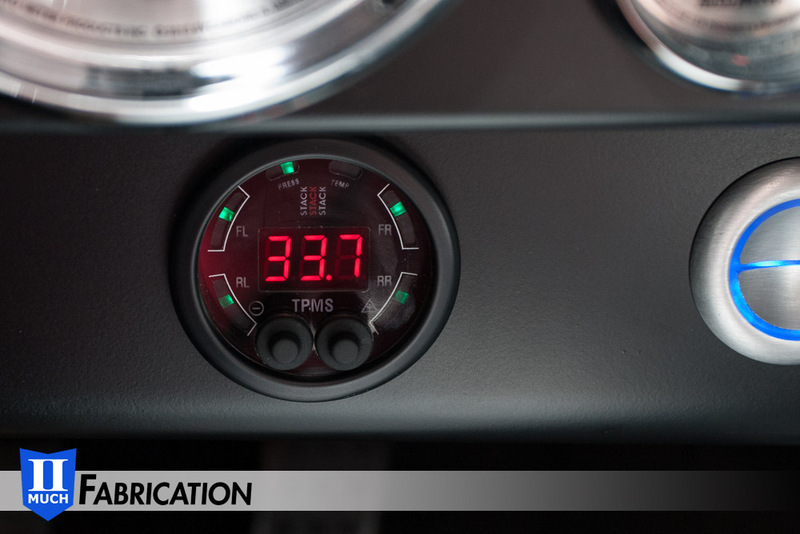 The Stack TPMS gauge shows tire pressures and temperatures at a glance. 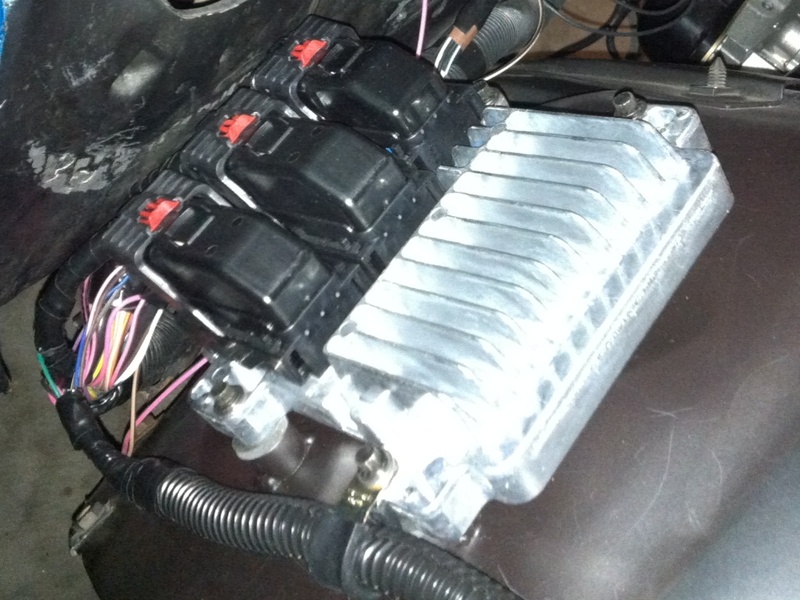 More and more safety and convenience systems are making their way from late-model vehicles to our hot rods. Some high end builds are using anti-lock braking systems and traction control. Other examples are cruise control, three point seatbelts, thermostatically controlled environment controls, interior and exterior lighting, and navigation systems, to name a few. To make room for the MAF routing we’ve spliced in an aluminum tube into the upper radiator hose and sealed the assembly with the nearly magical Gates heat shrink clamps. 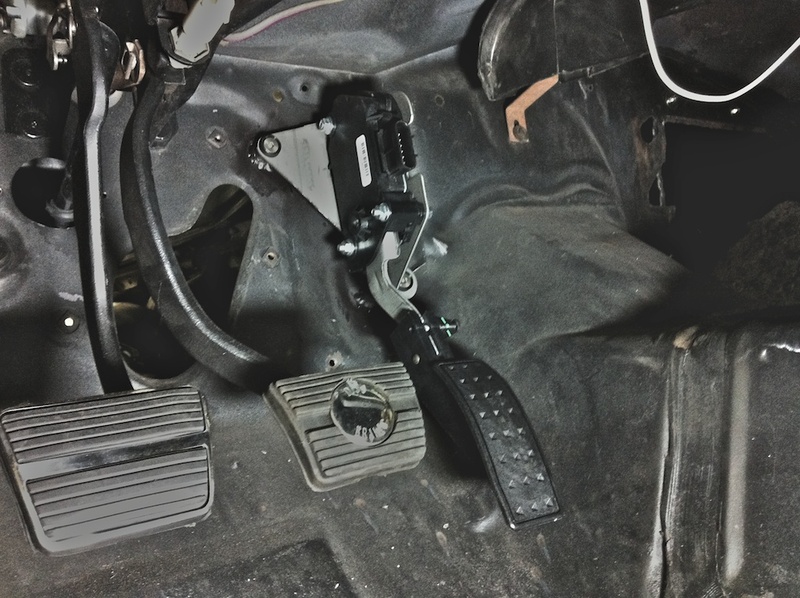 We’re in the process of sealing up the cooling system of the Tommy Camaro with a variety of clamps — none of which are the typical hardware store worm drive type. 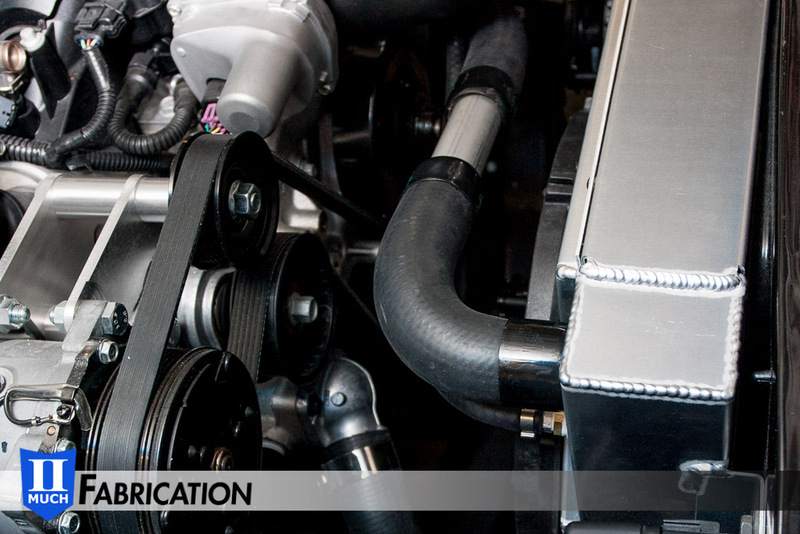 The most obvious and interesting clamp is the Gates heat shrink product which holds the upper radiator hose together. Given the multi part nature of the upper hose, traditional clamps would have been an unattractive bristled mess of stainless steel. The Gates clamps look way cleaner and outperform the old school alternative. Making a custom length battery cable takes a drill, mini-torch, crimper dies, flux, and solder. We do lots of custom electrical work in the fab shop, and one job that seems to come up all the time is making custom battery cables. Trying to find ready-made cables that are exactly the right length is difficult at best, and damn near impossible for those extra-long cables when your battery has been moved to the trunk. Given the weight and cost of heavy gage copper cables we make our own, using SAE-rated battery cable, and heavy-duty cable lugs to get exactly the right length. There’s no ferrule in this hose end. The collar slides over the hose, and the fitting threads directly into the PTFE liner. It’s lightweight and easy to do, and no bleeding required. We’ve gotten a lot of requests for more information about the hose we used in our twin vent install on the Tommy Camaro. It uses a PTFE inner liner, which is important to reduce fuel permeation (smell), and an Aramid outer braid. Aramid is a Kevlar brand name and it is tough stuff. It is literally bullet-proof. The braid feels soft to the touch, but requires side-cutters to cut the thread — it just laughs off heavy duty scissors. Assembly is easy: just slid the outer (silver) collar over the end of the hose, and then twist the fitting (black) into the hose with some light lubricant. 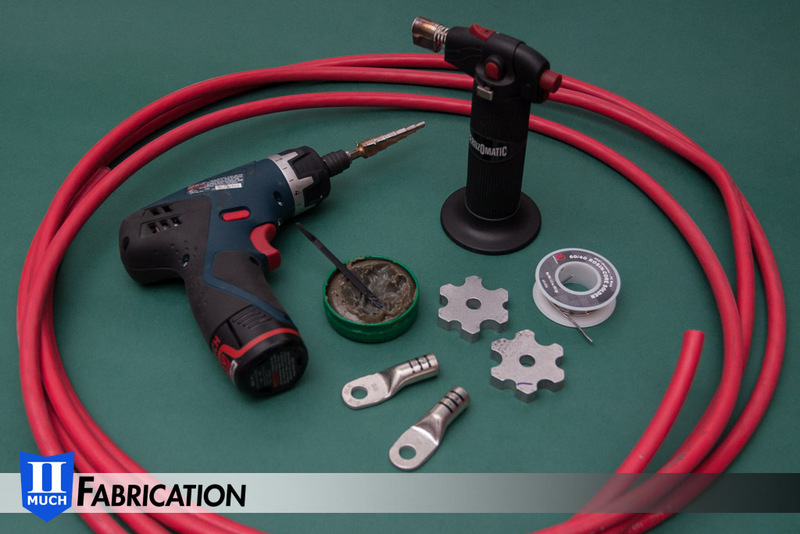 The fitting twists easily into place with your hand or a short AN wrench, and the fine threads on the inner fitting support easy clocking for non-straight hose ends. 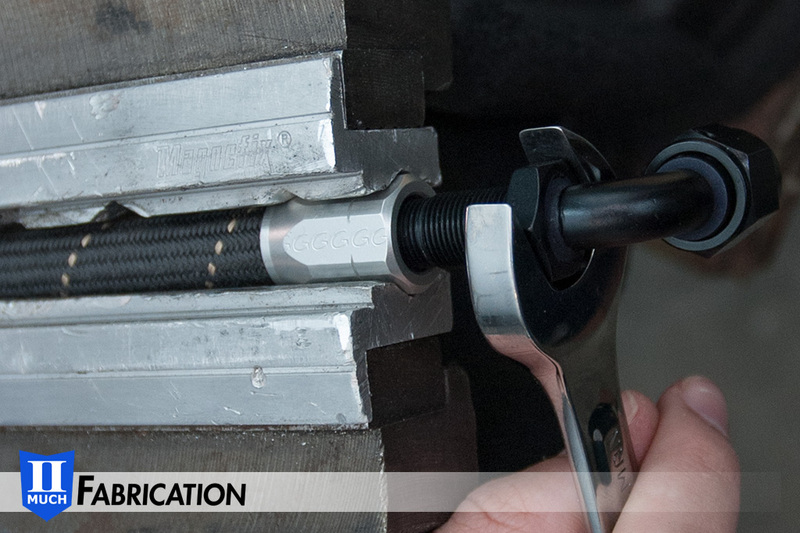 The hose is rated for high-pressure applications, including power steering. You can get all of it at Pegasus Racing. 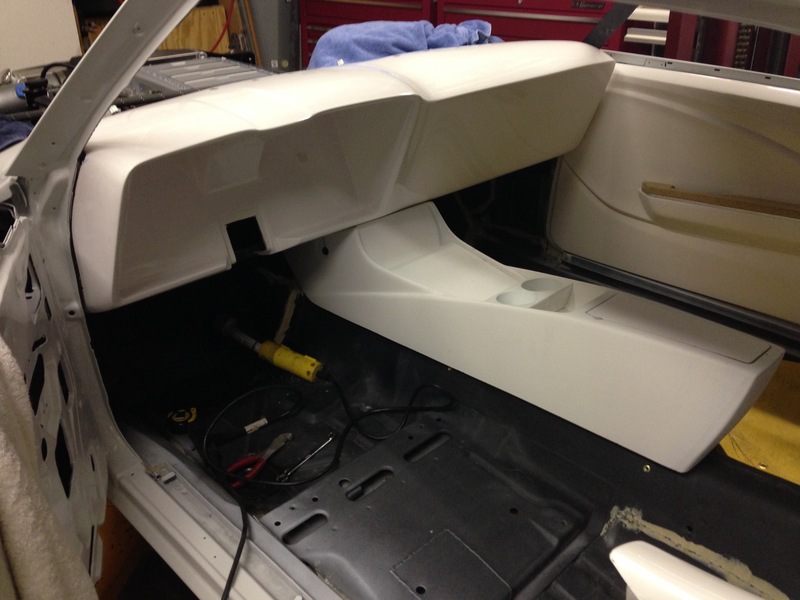 We’ve made more progress on the 69 Camaro getting a high-end Pro-Touring upgrade here in the Fab Shop. We’ve just finished installing the DSE Quadra-Link rear suspension along with welding in the Speedtech Chicane front coil over adapter. 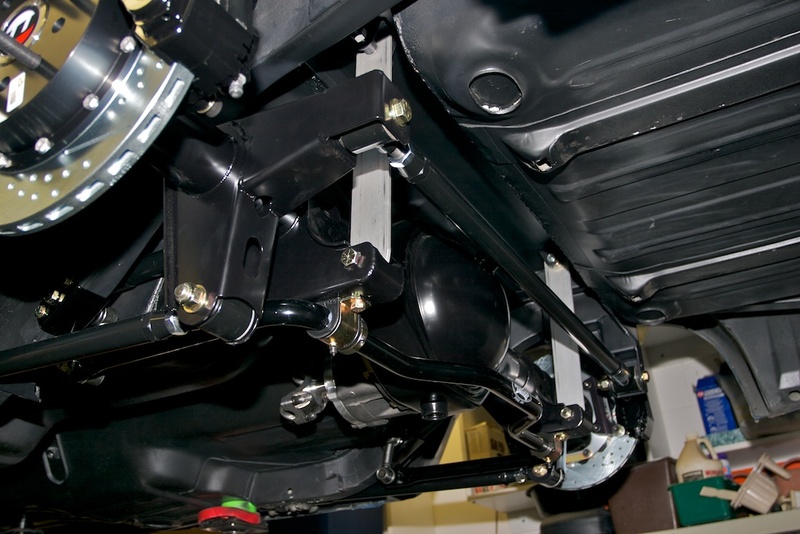 Both systems are supposed to be installed by using the coilover shock to guide where the upper mount is supposed to go. Progress continues on the 69 Camaro. 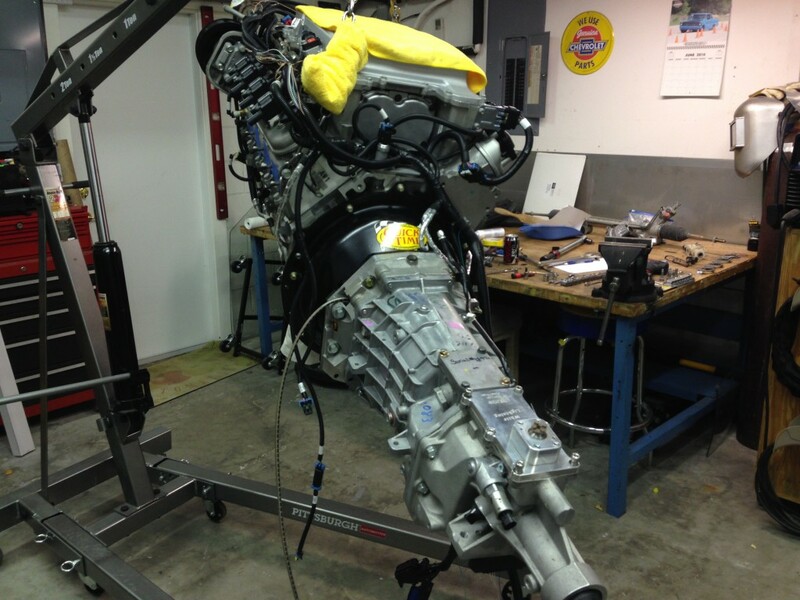 We’re working on wiring the car and adapting the GMPP harness to manage our LS3. Using FabBosses to mount the ECM was easy. We bolted a 1/4 – 20 versions to the ECM, trimmed them slightly to deal with the curvature of the panel, and welded them in place. It wasn’t necessary to fully weld the FabBosses — we just put two solid 1/2″ welds on each side of the ‘Boss. Total time: 1 hour.